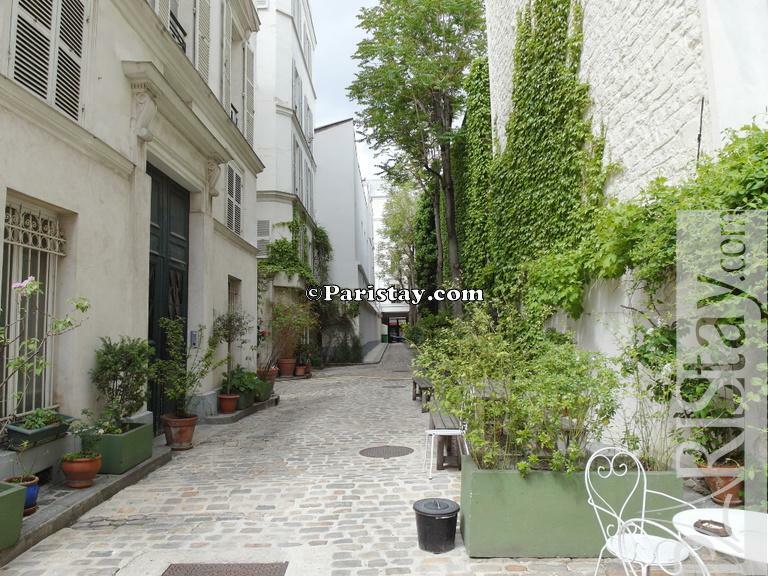 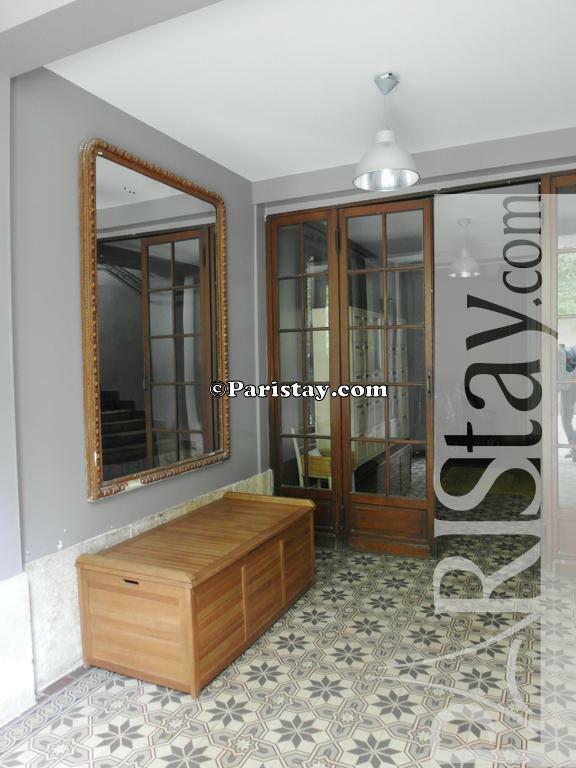 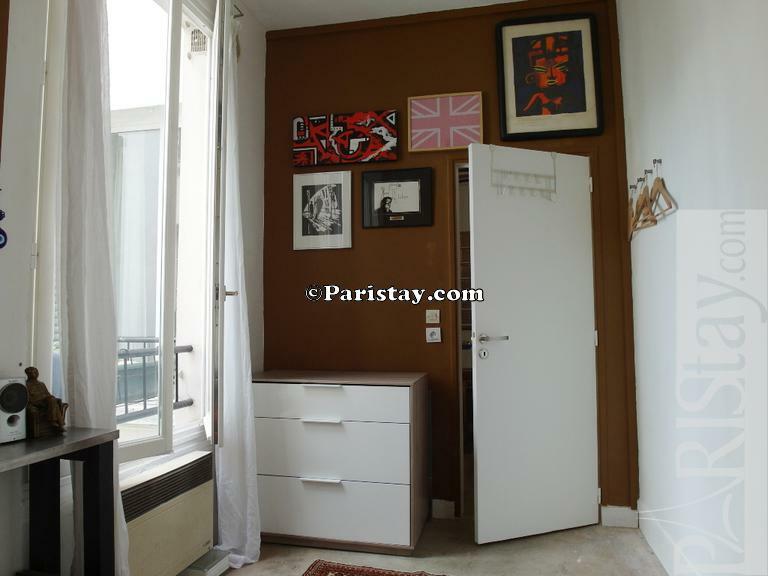 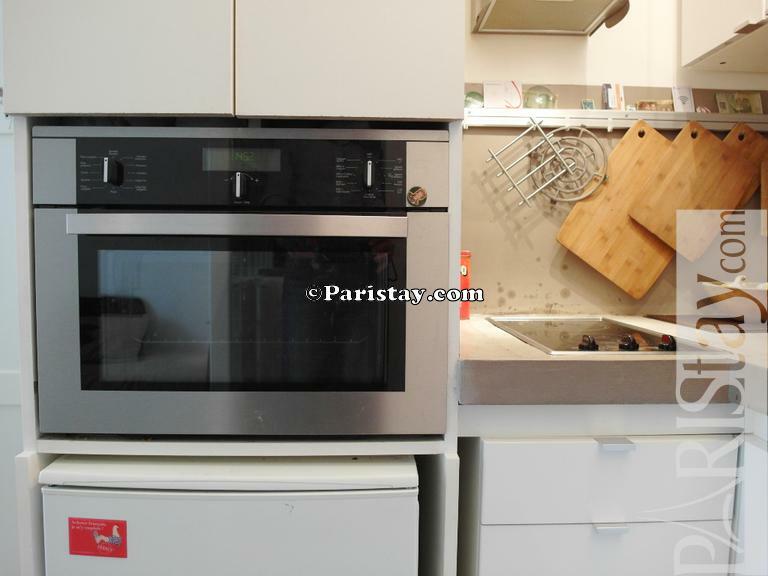 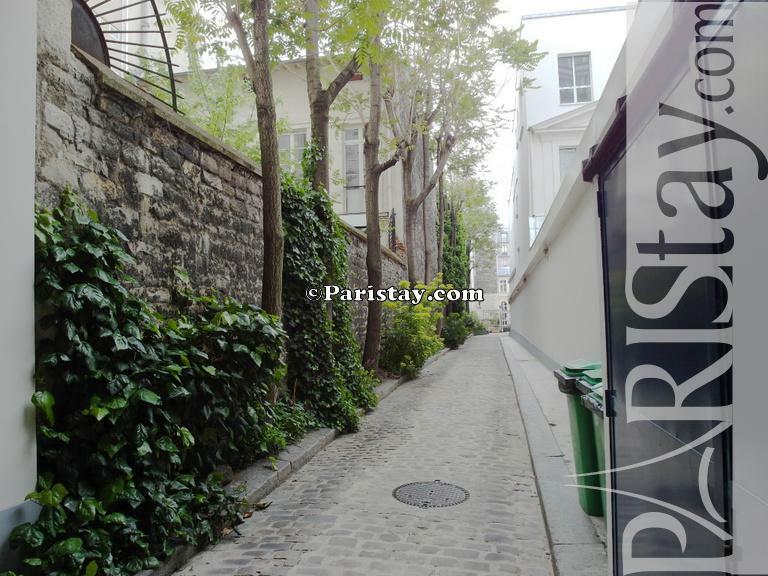 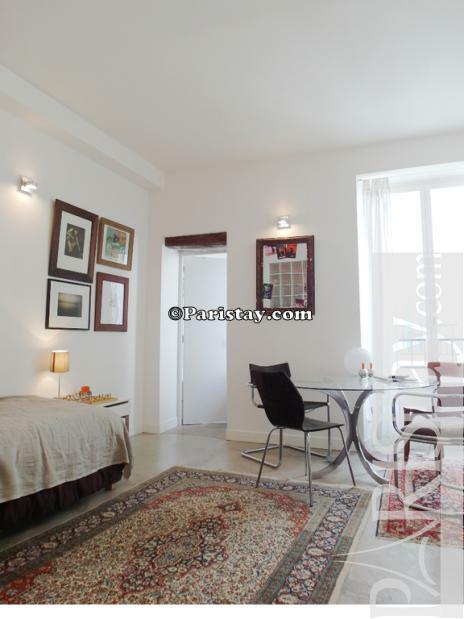 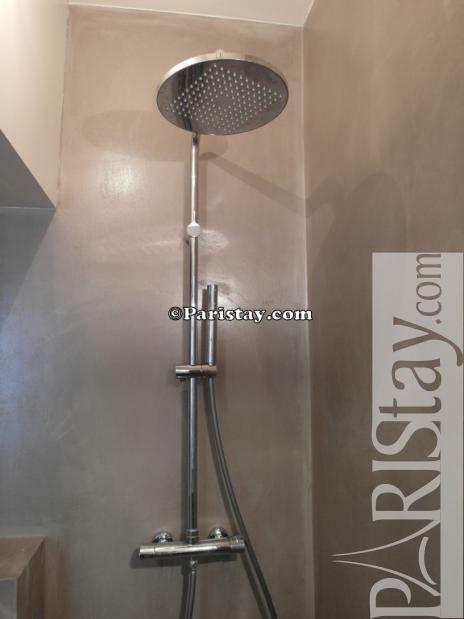 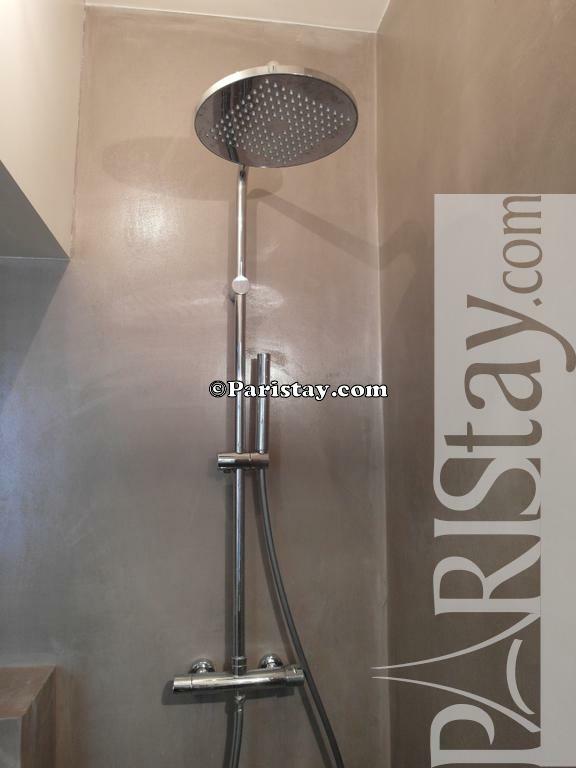 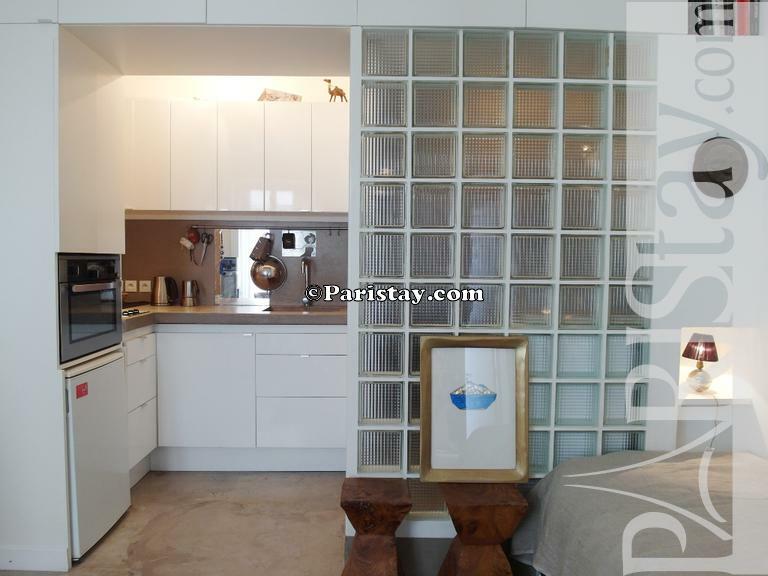 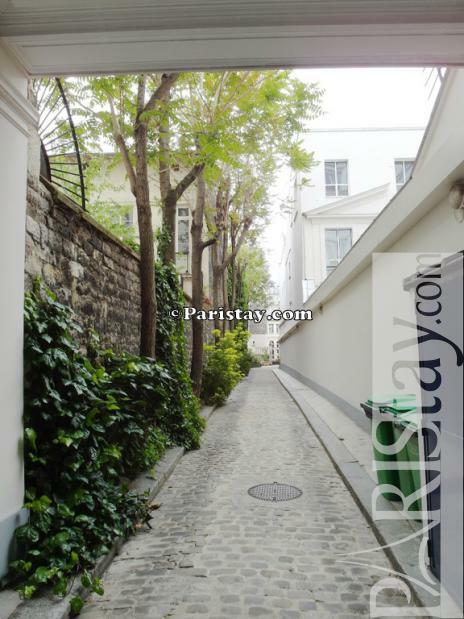 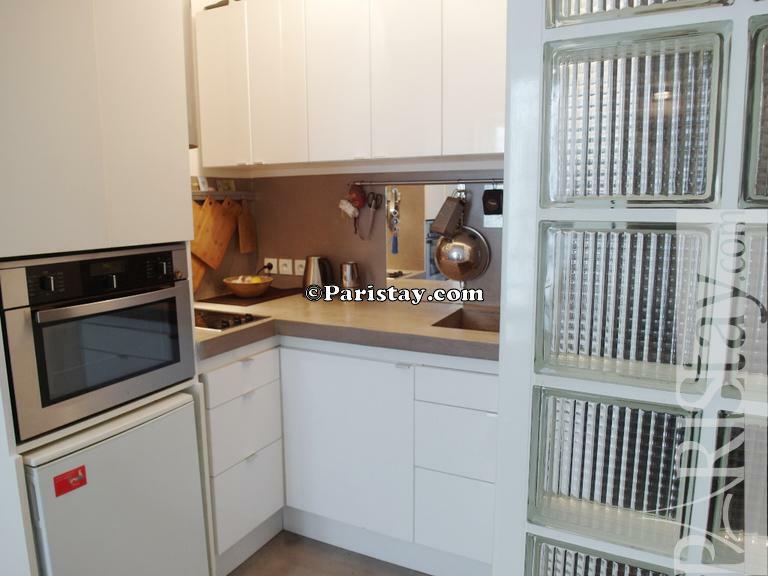 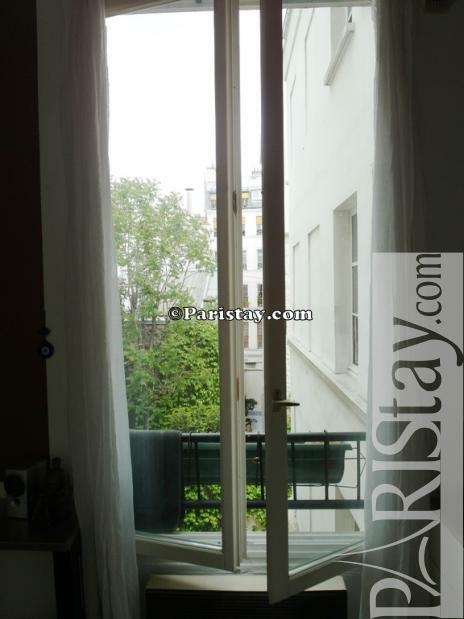 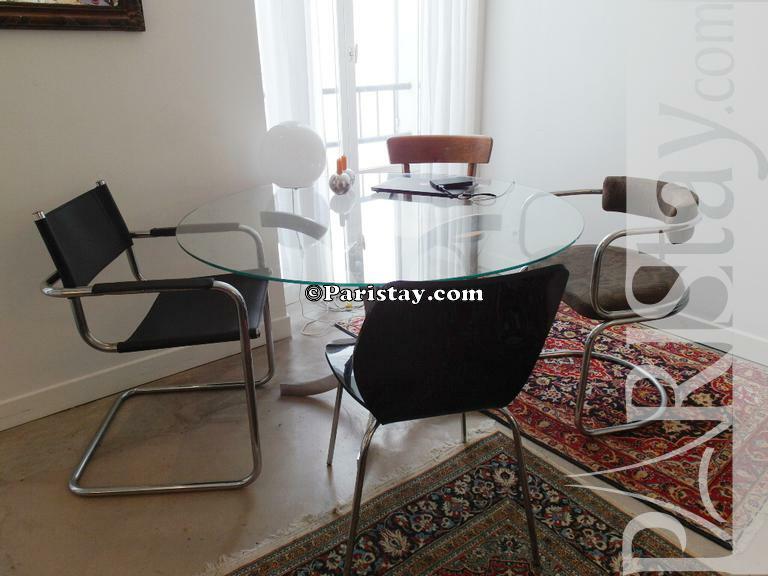 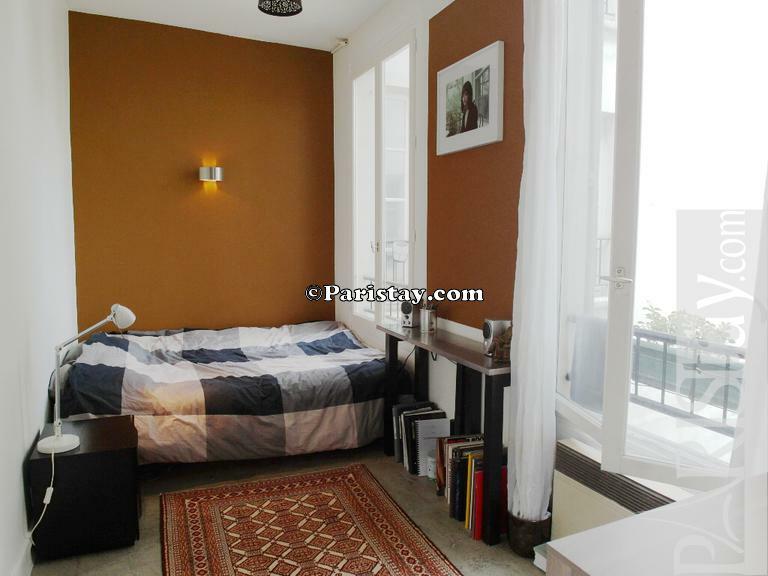 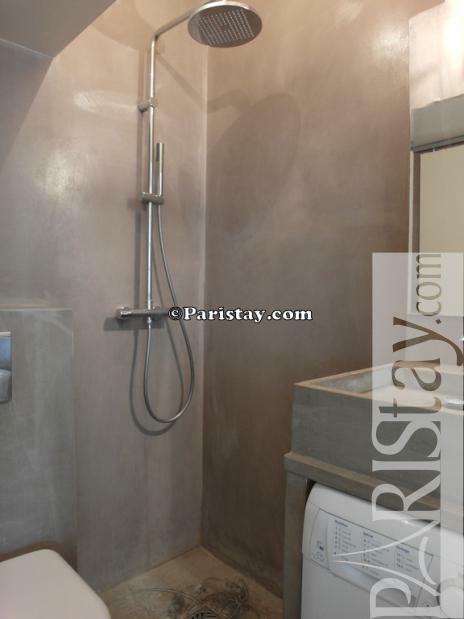 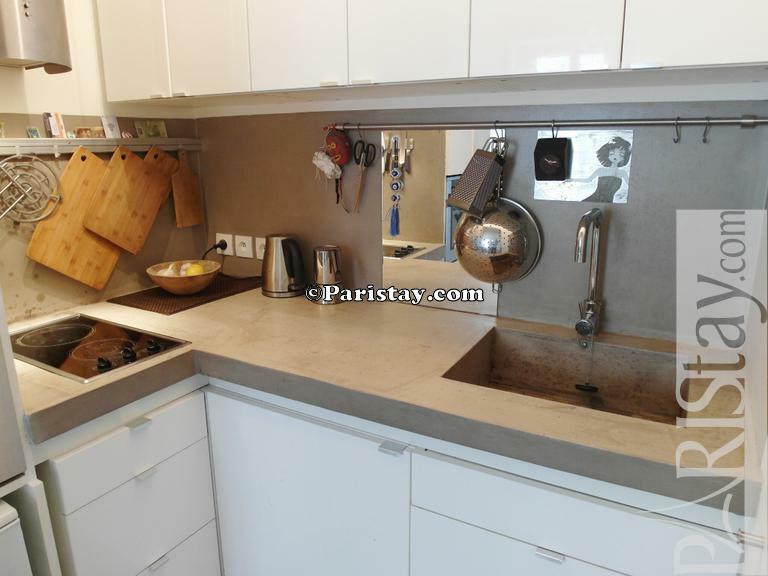 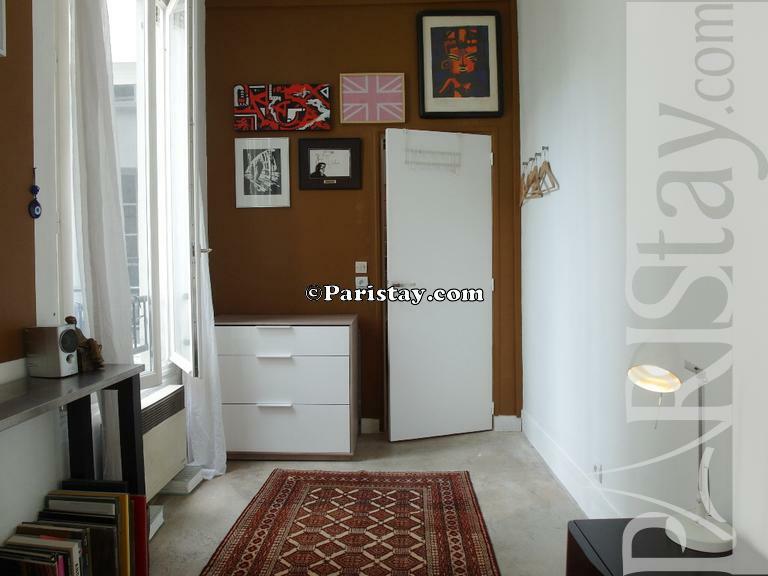 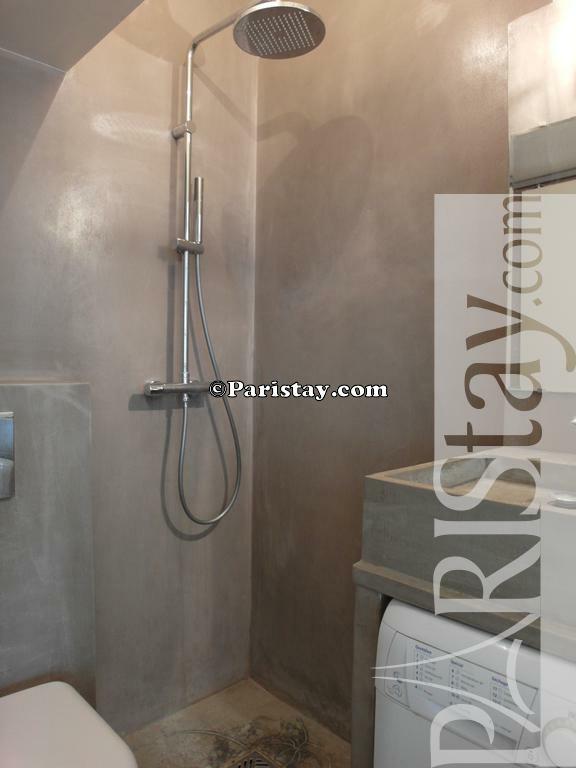 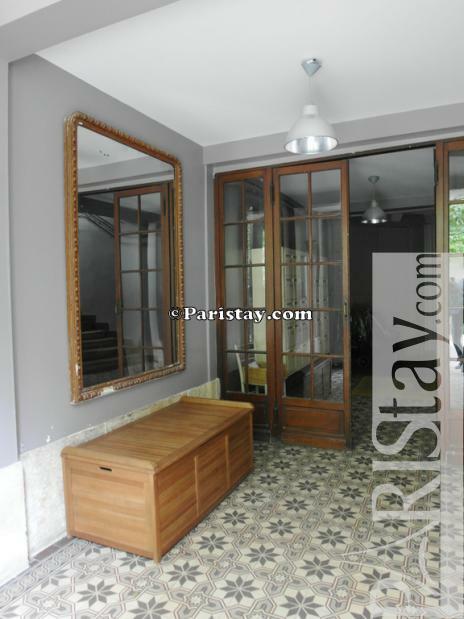 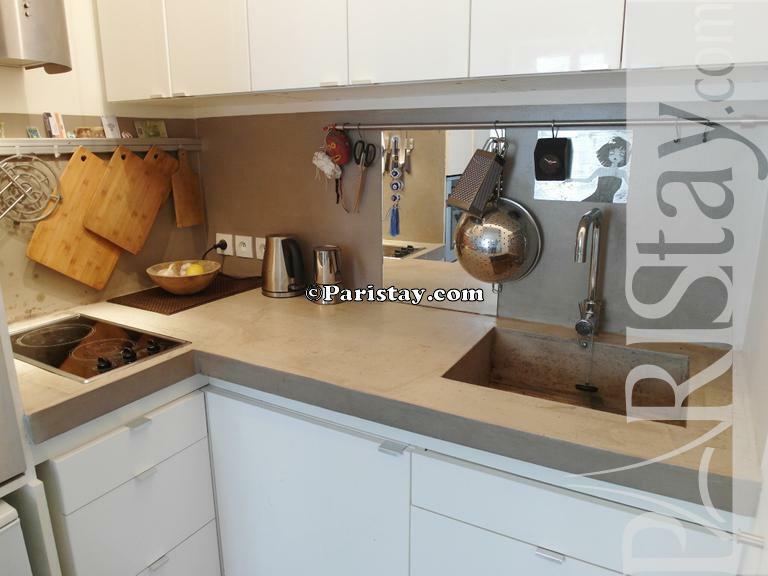 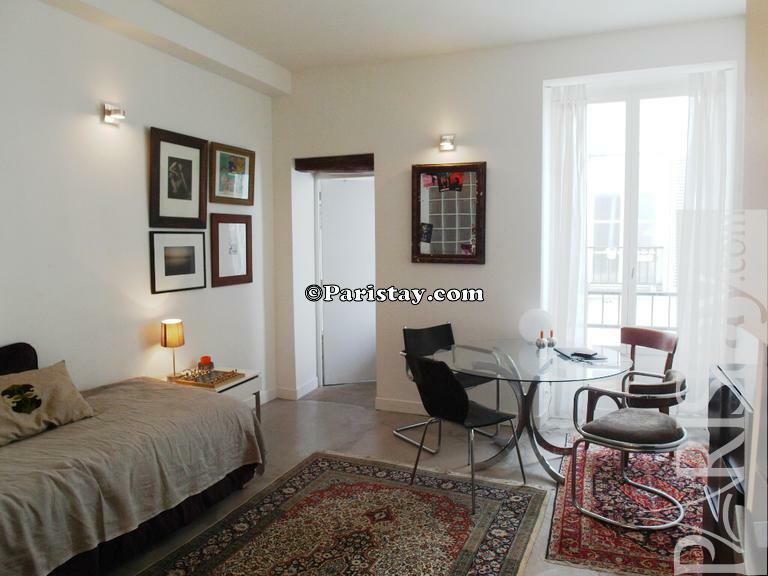 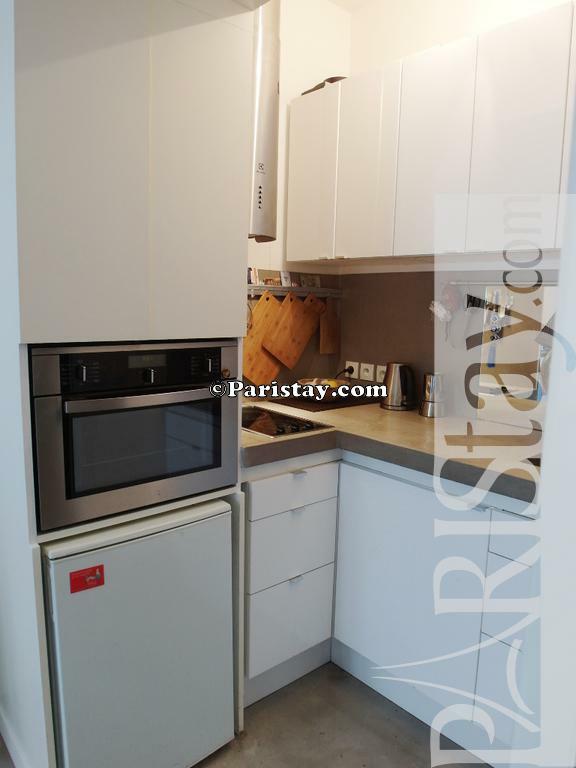 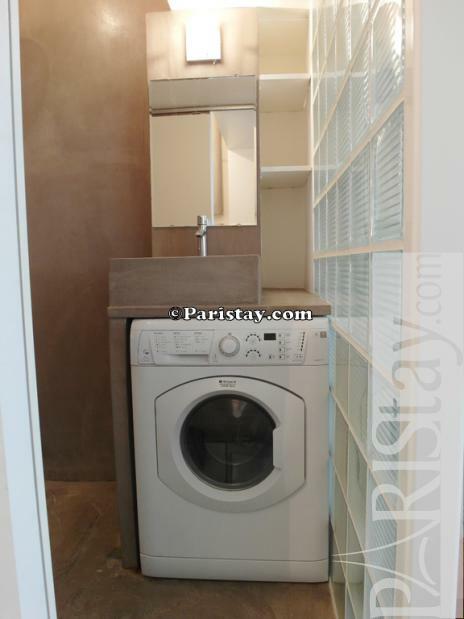 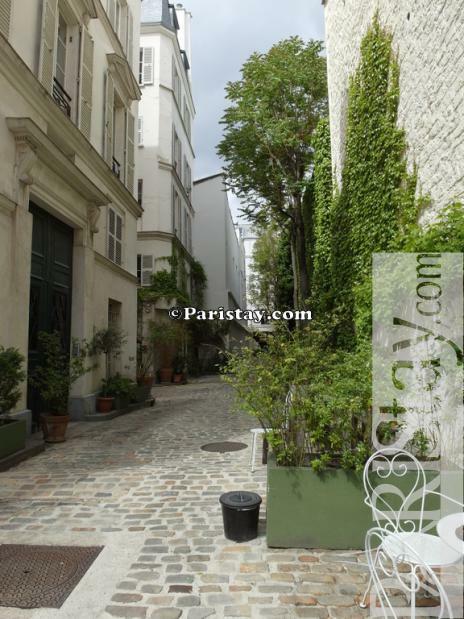 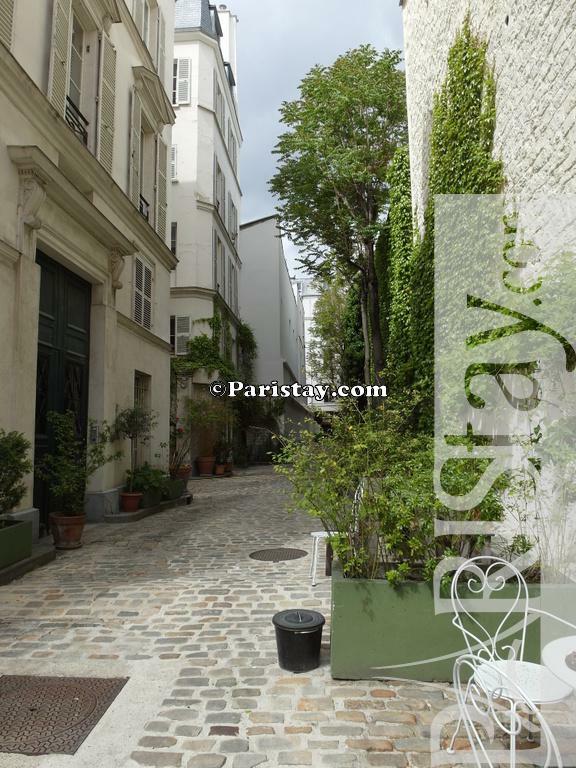 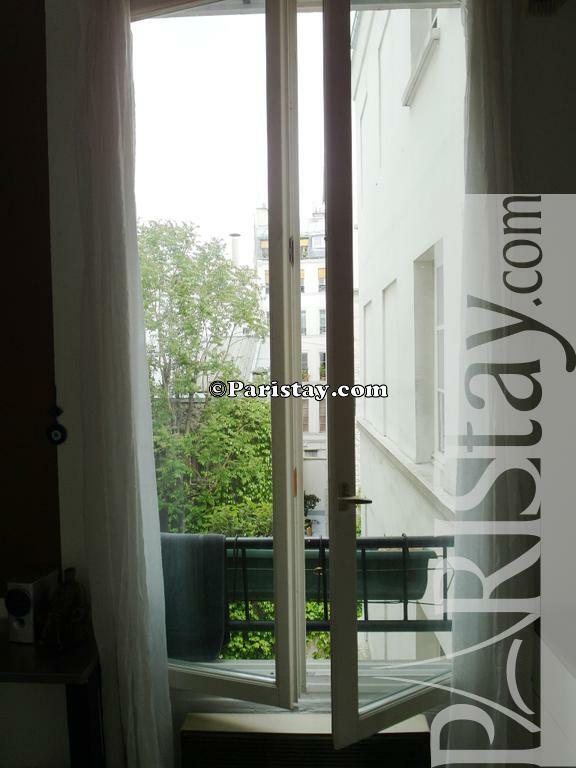 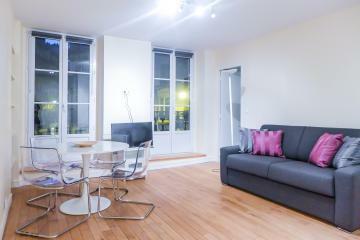 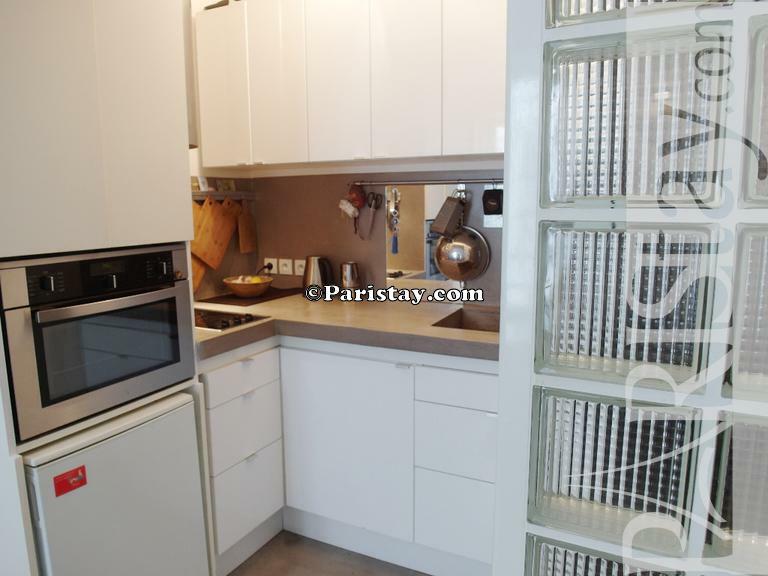 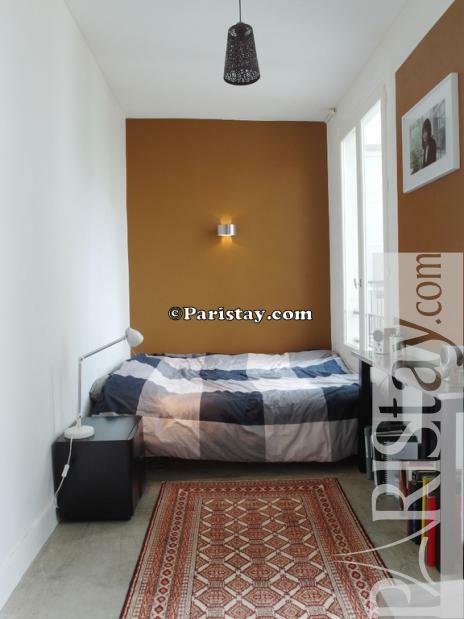 Charming Paris One Bedroom Apartment rental nicely located in a private street of the lively 9th arrondissement, next to Grands magasins, 10 to 15 mn walking from Eurostar and Thalys arrivals at Gare du Nord. This is cool area to leave like a parisian by using lots of typical food shops, bars, restaurants and convenient public transports to go everywhere in town (Metro Cadet). 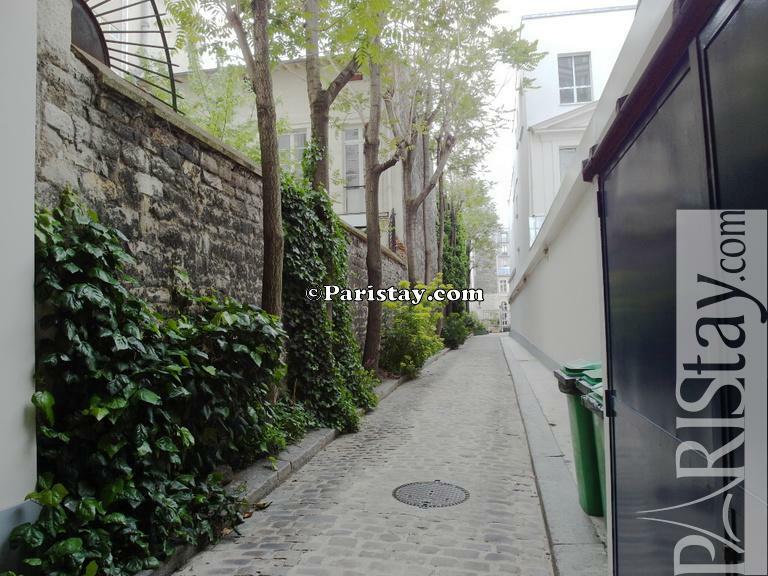 Need to have a drink in Montmartre? 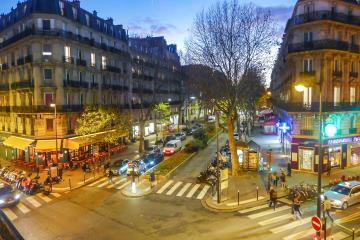 It's at 10mn walking! Quiet and safe : there is a security code to pass the front door to the private street, and a second code to enter the building. 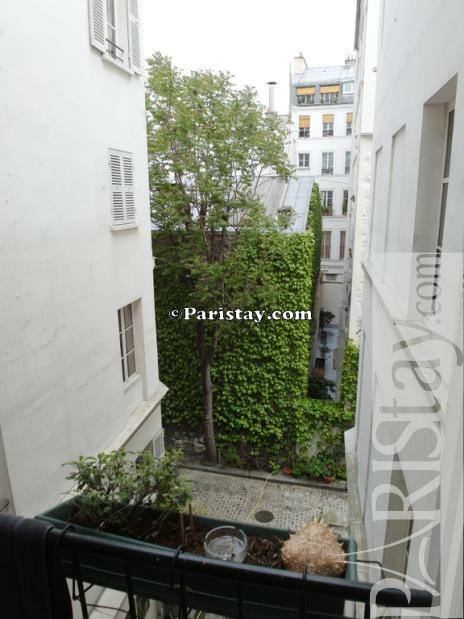 Plants and tables outside welcomes you! 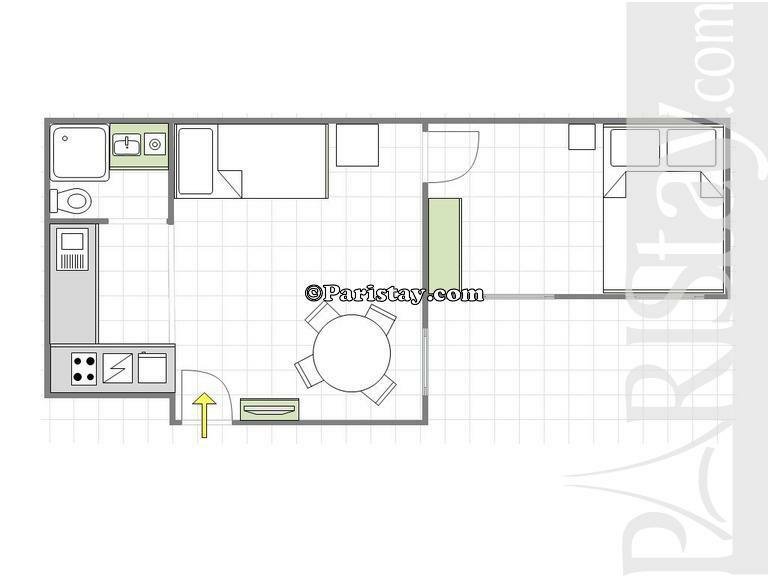 The apartment is on the 3rd floor with no lift. 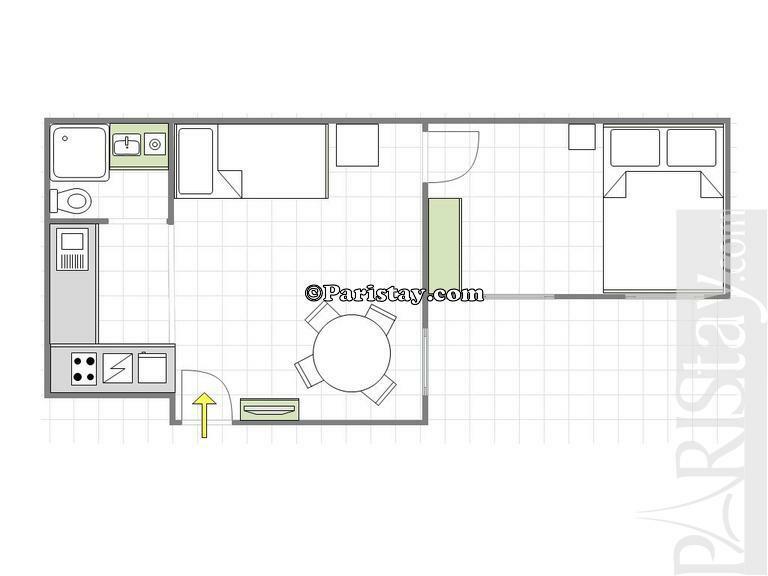 It offers a quiet and cosy living room open to an equipped kitchen and a shower room with WC and washing machine. 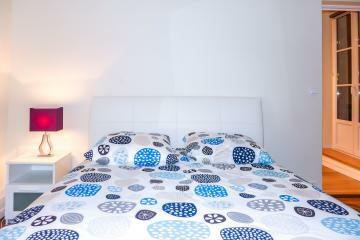 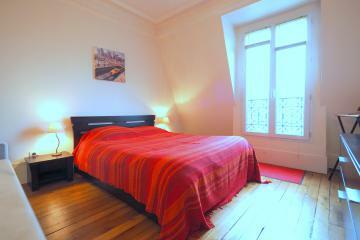 A bright bedroom is on the other side, that offers2 large windows and a confortable king size bed. 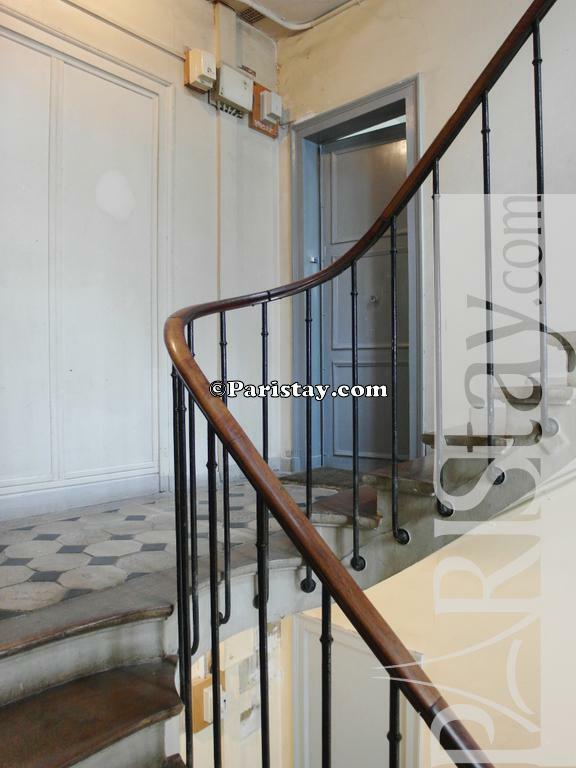 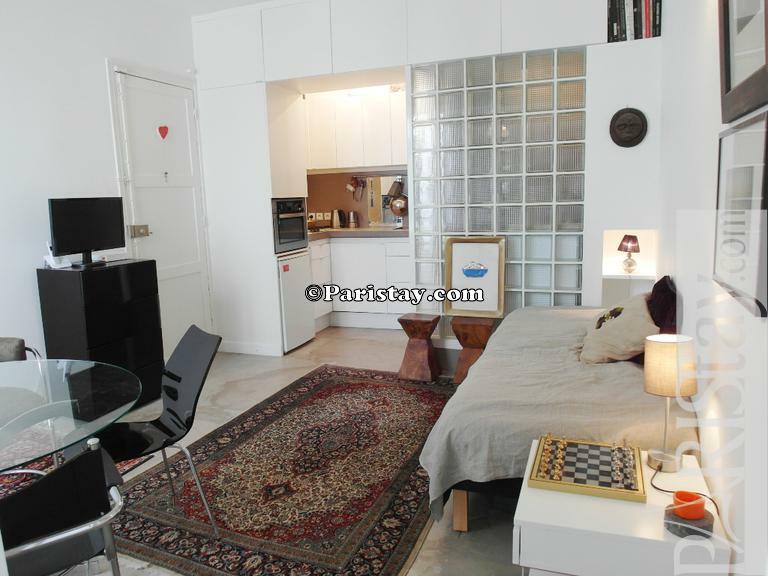 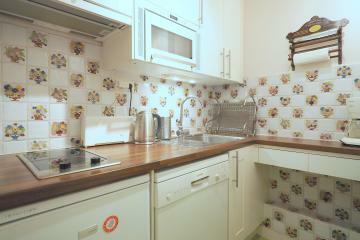 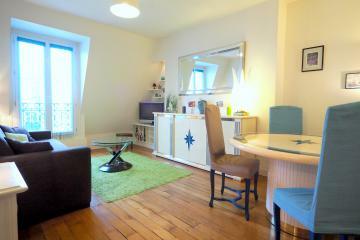 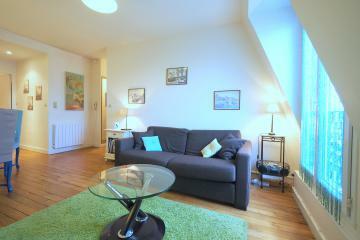 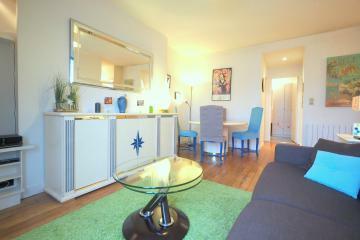 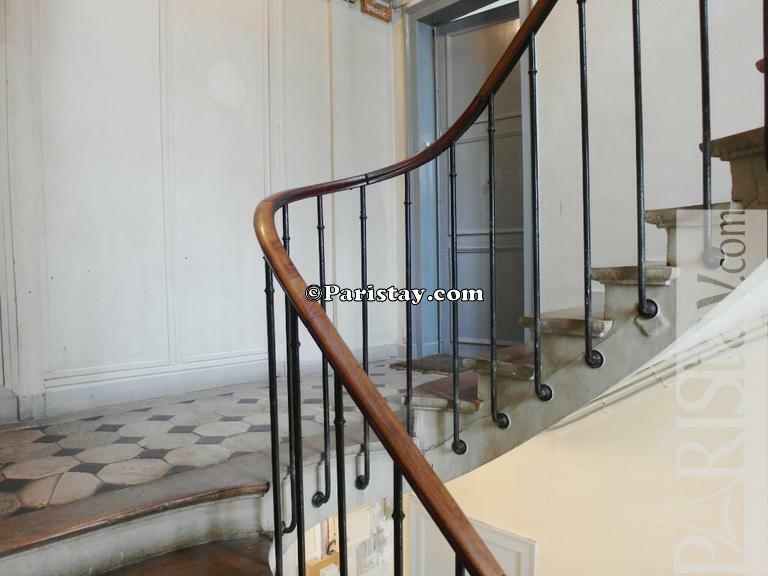 1880's Building, 3 th floor, without Lift, 1 bedroom Appartement, furnished, Approx: 31m² / 333 Sq.Ft.